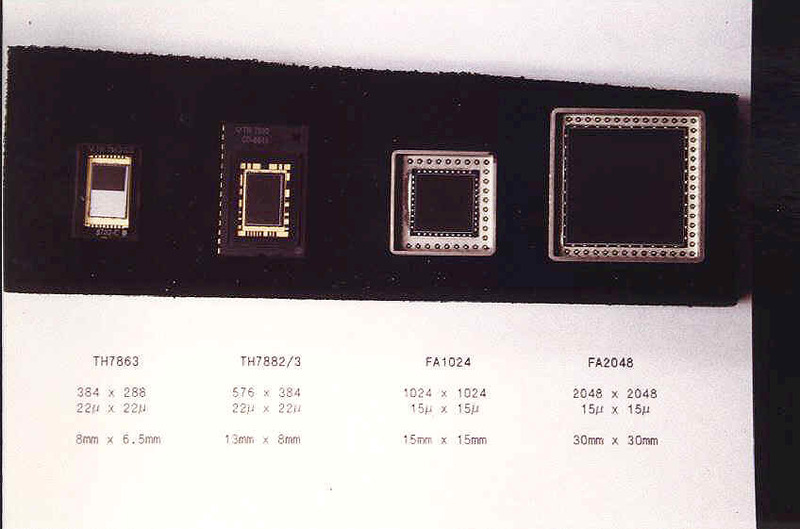 In 1986 the first concept for a programmable microprocessor based CCD controller was developed in Bonn. Each CCD clock has its own digital waveform generator with 8-bit DACs and 250ns timing resolution. The waveform pattern and there sequencing are prepared in the host computer and downloaded over a RS232 serial line. Although the ancient first generation CCD controller (CCU) doesn't resemble at all the newest version the basic concept didn't change very much. 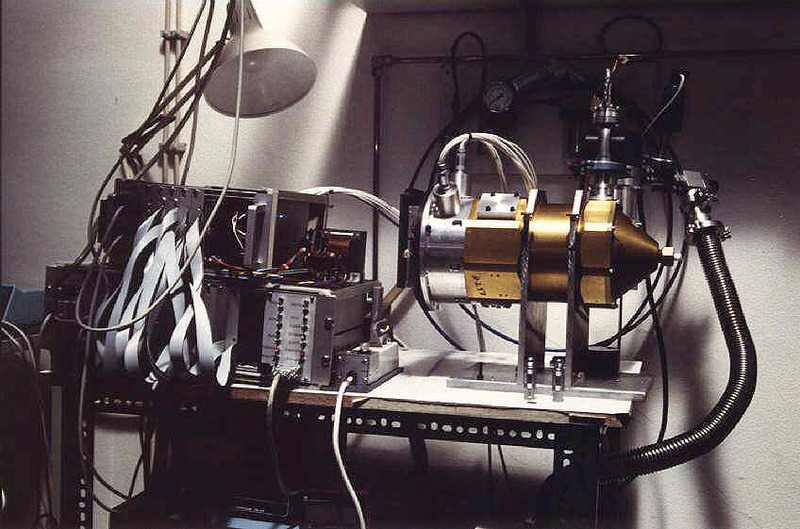 In may 1989 BOCCIA jr. saw first light at the Schmidt telescope of Hoher List observatory. 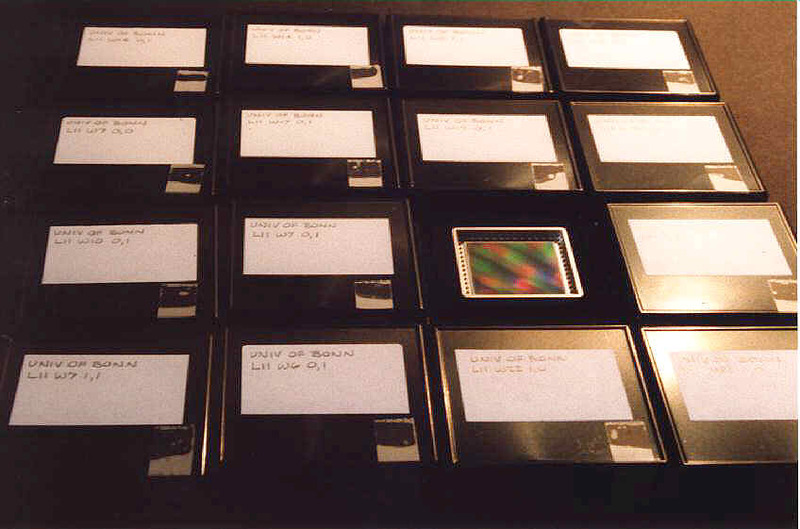 The CCD was a LN cooled frame transfer type with 384x288 pixels (TH7863). The primary goal was to build systems for direct imaging and photometry of extended objects (nebulae, galaxies, star clusters) in a large field of view. Large detector area was therefore a must. After 2-3 years - after we had used some intermediate sized CCD's - the famous FA2048 2kx2k device became our standard detector. With generous support from the Minister für Wissenschaft und Forschung des Landes Nordrhein-Westfalen we had been able to procure one of the first batches of the Ford Aerospace/LORAL 2kx2k devices. We have studied extensively the properties of these MPP CCDs if driven totally inverted, partially inverted or non inverted. We also implemented successfully the anti-blooming clocking mode (see Kohley et al. "Operating a large area MPP-CCD with anti-blooming" in Proc. SPIE 2415, p67, 1995). The most advanced instrument is the 64 megapixel camera system BUSCA the "Bonn University Simultaneous Camera". Its detectors are four 4kx4k 15µm pixel devices from Lockheed Martin Fairchild Systems (CCD485), one CCD per color channel. For the UV channel we have a backside thinned device (thinned by Mike Lesser). BUSCA will be commissioned at the 2.2m Calar Alto telscope at Easter 2001.